My father (who thankfully is still alive, he will be 79 in a couple of months) joined the Royal Canadian Air Force in 1942. 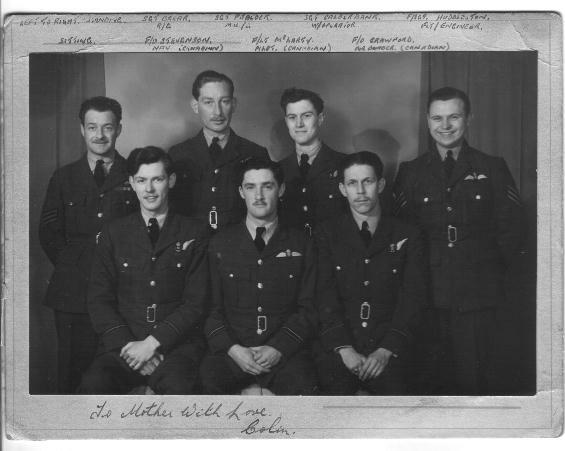 After flight crew training he was sent to an RAF squadron instead of an RCAF one because of the demand for crews at the time. His crew was made up of three Canadians who belonged to the RCAF and 4 English who were in the RAF. His pilot's name was McLarty. 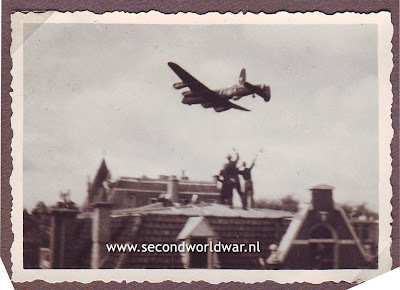 In regards to Manna my father flew twice to Rotterdam, May 3 and May 7 , both times he flew in Lancaster serial # NG 218. 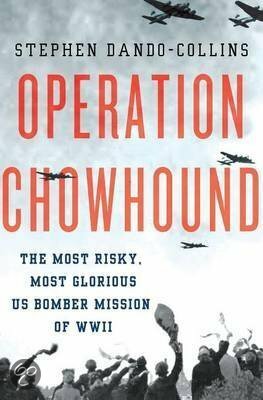 He had previously made 19 bombing sorties and despite instances where his place returned with up to 31 holes in it he was never given any type of bravery award. As he says, he was just doing his job , and alot of people had it much worse than he did. "On April 21st, I flew 'V' Victor to Netherlands, carrying a mixture of goodies, in sacks, slung from ropes on a Heath Robinson device in the bomb bay. We were to demonstrate to an assembly of RAF and Army brass, just how food would be dropped to the starving Dutch. Approaching the airfield at around 200 feet, wheels and flaps down for minimum flying speed, we lined up the white cross on the ground, and pressed the button..... when it all went wrong! Sacks of peas, tins of Spam, and all sorts of containers rained from the sky, scattering the assembled brass in all directions. Not what was envisaged! However, ' It was all right on the night'. A similar presentation also took place at Scampton after lunch April 21st when F/O 'Red' Penman, flying PA 264 (P4-3rd O), successfully carried uot a demonstration drop on the airfield in front of the Marshall of the Royal Air Force, Lord Trenchard, who was visiting the station that day. The MRAF (the first ever Chief of Air Staff, known as "the father of the RAF") later gave a rousing pep talk to the whole of 153 and 625 Squadrons. 131 Negotiations with the German Occupying Authority for a limited truce to allow food drops to begin, assumed a critical state as the death toll rapidly mounted. At Scampton, as on other stations involved, crews practiced low flying techniques and simulated drops. Eventually, on Sunday 29th April, the codeword "Operation Manna" was issued; this was an inspired choice, for not only does it stand for "bread from Heaven" but it means exactly the same in Dutch. 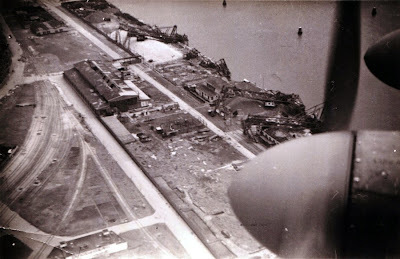 153 Squadron promptly despatched 18 aircraft (each carrying 284 bags of food) to a dropping zone at The Hague - all following drops were on Dundigt Racecourse, Over the ten-day period ending 8th May, the Squadron mounted 111 sorties, shared between all 40 of the active crews, to successfully deliver 271 (long) Tons of life-saving provisions (for details see Appendices D8 and E8). 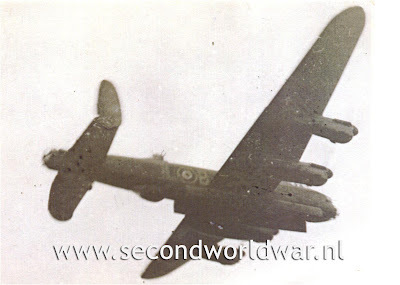 In total, the RAF dropped 7,029.9 (long) tons; the USAF contributed 4,155.8 (short) tons. 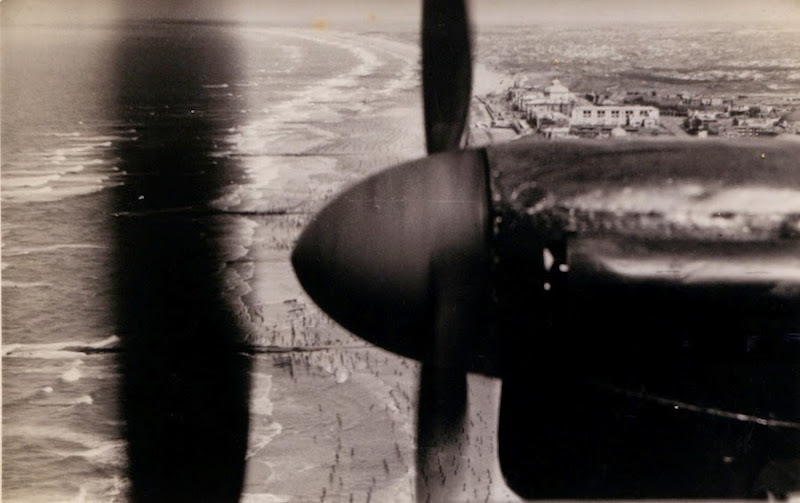 Many crews were initially apprehensive over the realization that they would be flying, in broad daylight, at a very low level, in full view of the German A/A defenses, whose gun barrels could be seen to be tracking their flight. However, the reception by the beleaguered Dutch people, who flocked on to the streets, the rooftops and all open spaces, to wave anything to hand, calmed all fears. 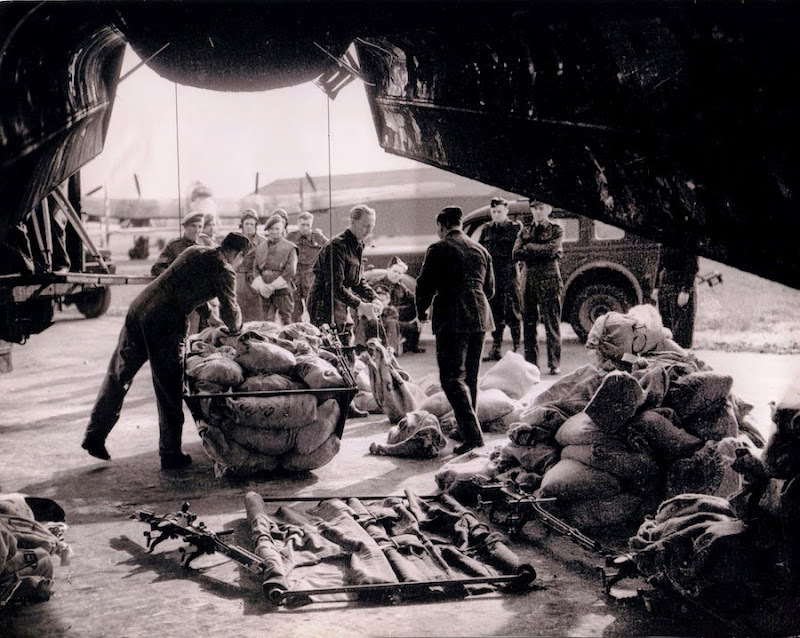 Subsequent sorties were flown with panache, at much lower levels, while crews (most of whom parcelled up their flying rations and attached them to "parachuted" made from handkerchiefs, as personal gifts for the children) exchanged waves with those below. After dropping their loads, many pilots continued to fly at a very low altitudes, waggling their wings and 'buzzing' the crowds to give them a thrill, with their bomb-aimers flashing "V" for victory on the Aldis signalling lamp. 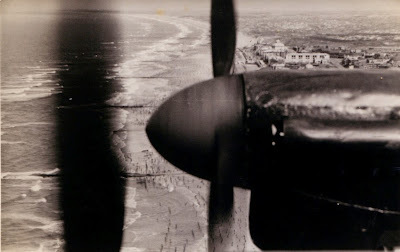 It became a carefree, cheerful occasion for the aircrews, and many could not believe that Manna drops were to be allowed to count towards an operational tour. For the Dutch population, the food drops signalled something even more significant than an end to starvation. 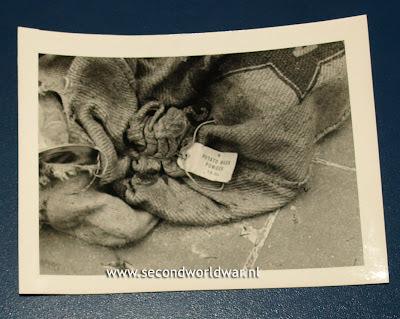 They saw the streams of bombers flying extremely low in broad daylight; they saw that the German forces did not open fire upon these vulnerable targets. They were quick to draw the obvious conclusion (oddly, not so apparent to aircrews) - that this historic event heralded the ending of the war! They hailed the fliers as their " liberators". The Dutch have never celebrated V/E day. For them, there is only the one, unforgettable celebration - the 5th May - a national holiday - which they very rightly call 'Liberation Day'. 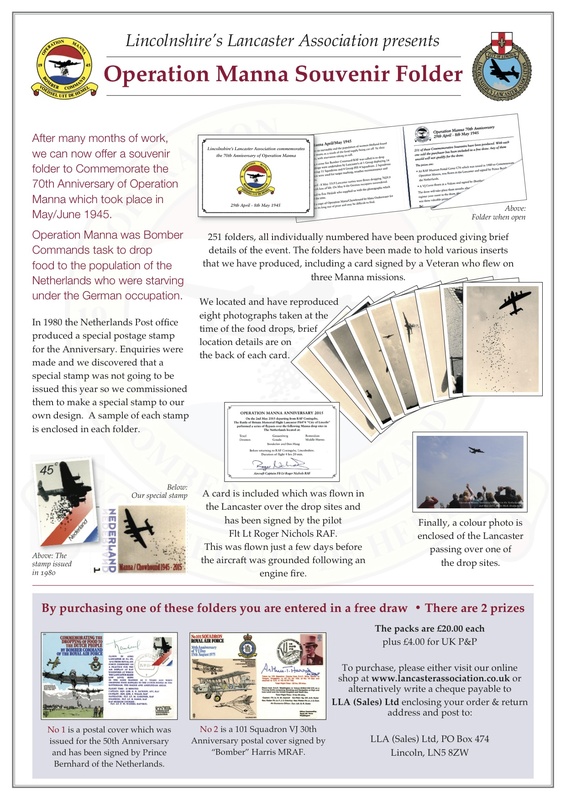 132 On 8th May - V/E day - which marked the end of warfare in Europe, the Squadron made its final Manna drops. 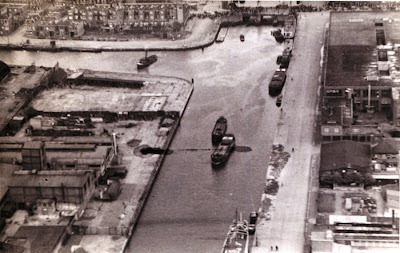 29 APRIL 1945 OP MANNA ENROUTE. Photo courtesy: Christopher Coverdale. 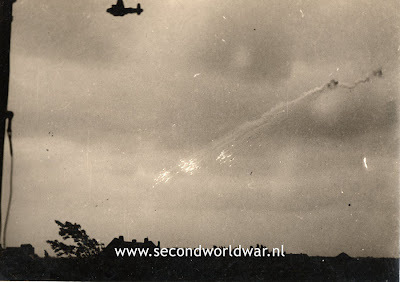 29TH APRIL OPERATION MANNA PASSING OVER ROTTERDAM. Photo courtesy: Christopher Coverdale. Loading up the food parcels at RAF Downham Market in a Lancaster of the 635th Squadron. Photo Credit: Squadron Leader Howard .W. Lees. 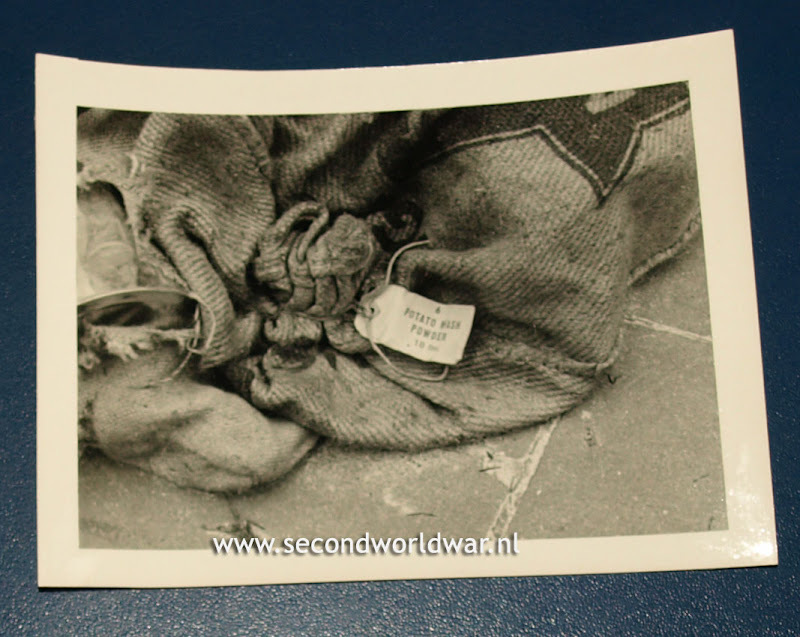 29TH APRIL 1945 THE HAGUE OPS MANNA SCHEVENINGEN KURHAUS. Photo courtesy: Christopher Coverdale.